The following paper, submitted to the Greenhorns by Freya Yost, Vice President of A Growing Culture, traces the building blocks of Agroecology (local knowledge, resilience, cultural traditions, working with nature) and analyzes them within the context of our current technological culture. This is a long but compelling piece, scholarly without being a sludge to read, accessible in tone and content, and we highly encourage everyone to read it. All these dimensions make farming one of the most demanding and knowledge-intensive professions in the world. Sadly, because farmers are also some of the poorest people on Earth, lack of information can have devastating effects. Entire regions are vulnerable to being forced to adopt proprietary practices. Lack of information access puts farmers’ autonomy at risk. Open is not just an environmental issue, it is also a social justice issue. Open access is an ancient public good. The internet now provides a free platform for sharing knowledge. How is it possible—or even socially just—that so many of us can’t get access to scholarly research? Isn’t society propelled forward by access to the science, literature, and art of the world’s scholars? What if that research is publically funded? These are the primary concerns that drive the open access movement. Myccorrhiza interlaced with the roots of White Spruce. What would these concerns look like if we removed them from the scholarly communications circle and applied them to realms beyond the ivory tower like nature, society, technology, and ultimately the intersection of those things—agriculture. How does resource sharing affect biodiversity? How does knowledge exchange drive community resilience? How is information access—delivered via technologies—an equalizer among the underrepresented, marginalized, and oppressed? How does our ability to feed a growing planet depend on a culture of openness? Let me work my way back. In December 2001 the Open Society Institute hosted a conference in Budapest to promote open access—then called Free Online Scholarship—and defined the potential of the movement in the Budapest Open Access Initiative. The history of the open access movement is deeply rooted in the world wide web, which is the vehicle that makes it possible. With the rise of the internet came unprecedented possibilities for free and unrestricted information exchange. Yet instead of creating new, more appropriate publishing models for the digital realm, we applied the same practices that had been developed for print. What was once a rational way of covering publishing costs made little sense in the digital world where there are no significant costs for making content accessible. The great challenge of open access is not how scholarly research can be costless, but how we can remove access fees and barriers from the end user: the reader. Like its forerunner open source, open access encourages licensing that enables users to freely copy, modify, or distribute content with appropriate attribution. In most disciplines authors aren’t paid for publishing and are therefore in a position to do it openly without losing revenue. But open access literature, while free to access, is not free to produce or maintain. The great challenge of open access is not how scholarly research can be costless, but how we can remove access fees and barriers from the end user: the reader. The open movement, along with the institutions that struggle to uphold open repositories and journals, have not agreed on one unifying economic model although many good ones have been proposed. To summarize, the open access movement is an attempt to use the internet as a tool for free access to research and as a platform for scholarship to be built off of and improved; the tension is how to create an economic model that distributes the costs. 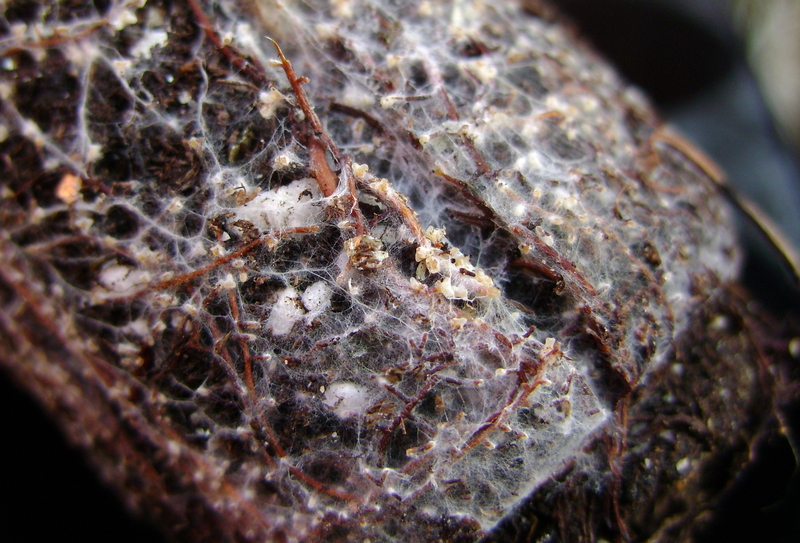 Increasing attention is being paid to Mycorrhizal networks, or the so called Wood Wide Web, whose fungi connect individual plants to each other and transfer not only water, carbon, nitrogen, and other nutrients, but also information. Nature, it seems, is much more open than we ever could have imagined, and that openness is central to evolution. But the ethos of “open” is much older than the internet, or even our modern culture, and, importantly, isn’t about licensing. Manifestations of open are seen in our agricultural heritage, owned by all and fabricated over generations. Open pollination, which is how plants propagate naturally by wind, insects, or birds instead of controlled procedures, results in plants whose genetic traits vary widely; this increases biodiversity. The boundless mixing of genetic materials seen in open pollination boosts the overall vigor of plants and regenerates the abundance of nature. This is a vital function of the ecosystem; the building blocks of adaptation and evolution. The resulting ‘hybrid vigor’ is directly related to the resilience of the system as a whole. 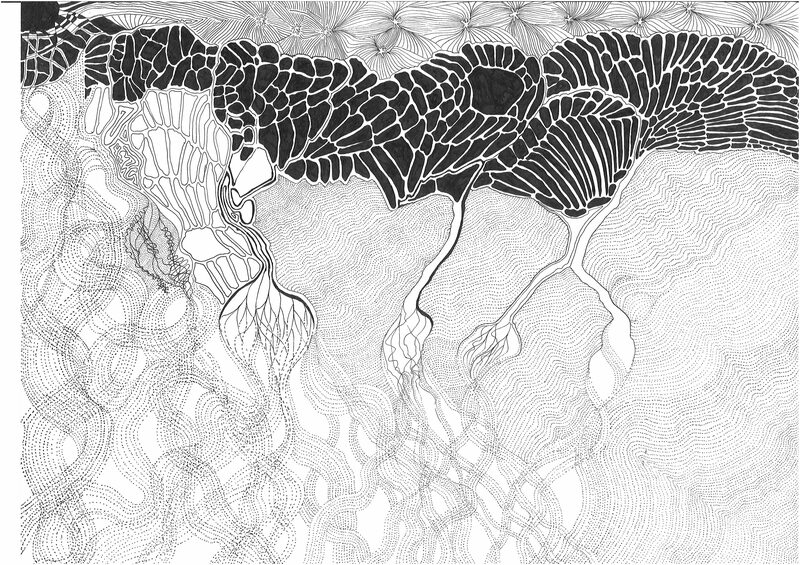 Increasing attention is being paid to Mycorrhizal networks, or the so called Wood Wide Web, whose fungi connect individual plants to each other and transfer not only water, carbon, nitrogen, and other nutrients, but also information. Nature, it seems, is much more open than we ever could have imagined, and that openness is central to evolution. There is also a long history of open in many traditional cultures around the world. Local knowledge, often collectively inherited, shared orally, and passed over jurisdictional borders and geographies, is the backbone of traditional agriculture and biodiversity preservation as farmers save and trade seeds—and it’s been at work for centuries. It is impossible to imagine claiming any presumptive ownership of our agricultural heritage; yet copyrights, patents, and breeders’ rights hinder the spread of indigenous seeds and continually fail to protect local knowledge. When we remember the environment, agriculture, society, culture, and technology are collectively-shaped natural and human systems, our fixation with originality seems rudimentary. In Harold Bloom’s The Anxiety of Influence he writes that to be truly original you must connect with something that existed before you. Our agricultural heritage is a banquet laid out for all of us, and to successfully build off of it, we need access and each other. The character of open is one of co-creation, community ownership, and building off of each other’s successes and failures. Open requires a shift from the proprietor to the collective; namely to a system that prioritizes the wellbeing of entire systems over individuals. Nowhere does this ring more true than in agriculture. Since the agricultural revolution in 10,000 BCE, farming has been an intersection of human societies and nature. The history of agriculture is fraught with destruction and exploitation, but has the potential to be one of regeneration and healing. Agroecology—a term that refers to ecological farming practices that emphasize the interdependence of social and environmental ecosystems—is inherently mutualistic. In fact, farmers must value the overall well-being of agroecosystems rather than exclusively concentrating on outcomes. When done effectively the result is social and environmental resiliency. Open advocates tell us that open is a development methodology and that sharing and cooperation lead to social solidarity just as they do in thriving, mutualistic ecosystems. When we share unrestricted information that information improves and becomes more reliable, which subsequently benefits all of humanity. The development world has largely taken the opposite approach. The proprietary mentality (top-down) prevails even among well-meaning development agencies who siphon transfer technologies and “expertise” to poor farming communities. It’s no surprise that these “innovations” are rarely sustainable and fail to improve the lives of farmers: they are largely unaffordable and do not take into consideration local conditions. International development is majoritively top down: charity—the prevailing solution to poverty—treats communities as passive beneficiaries rather than active participants that have a role in building their own future. Similarly industrial agriculture, the predominant approach to food production in the United States, follows an economic model that locks farmers into systems of chronic interdependence, reinforcing social stratification while falsely claiming to feed the planet. Driven by large-scale monoculture and proprietary chemical products and methods, it is one of the largest contributors to climate change, now generating around ⅓ of all greenhouse gas emissions. Its growing proliferation around the world is accelerated through agricultural extension services and international development workers—and it’s devastating rural livelihoods. The proprietary mentality (top-down) prevails even among well-meaning development agencies who siphon transfer technologies and “expertise” to poor farming communities. It’s no surprise that these “innovations” are rarely sustainable and fail to improve the lives of farmers: they are largely unaffordable and do not take into consideration local conditions. The changing natural world, along with the fluctuating political, social, and economic conditions farmers find themselves in, make farming a multidimensional profession rooted in knowledge-based skills, resourcefulness, and the ability to problem solve. Farmers must manage whole systems as they relate to landscapes, families, farms, communities, and regions; furthermore agriculture’s vast dimensions include soil, water, and energy conservation and managing—not controlling—ecological relationships to minimize disturbance and maximize potential. Farming is a livelihood and so farmers must understand how to diversify their crops, land use and revenue sources so that they are never dependent on a single crop, product or income source in this volatile environment. To this end they must conserve capital and genetic resources such as seeds, and utilize local resources whenever possible. On top of all this, women, who comprise the largest percentage of the workforce in the agricultural sector, face enormous barriers to land access and often care for children in addition to farm work. All these dimensions make farming one of the most demanding and knowledge-intensive professions in the world. Sadly, because farmers are also some of the poorest people on Earth, lack of information can have devastating effects. Entire regions are vulnerable to being forced to adopt proprietary practices. Lack of information access puts farmers’ autonomy at risk. Open is not just an environmental issue, it is also a social justice issue. A farmer’s ability to pass information—and seeds—through farmer-to-farmer networks is essential, as is her ability to adapt, improve, and localize a technique to meet site-specific conditions. Farming is knowledge intensive, not resource intensive. Local knowledge, a fundamental element in healthy agroecosystems, is developed over time by people with deep synergies with a place. There has been some attention paid recently to the role of time in communities’ ability to be resilient. Undoubtedly there is no one more proficient in the natural environment than a farmer who experiments, innovates, and most importantly experiences a land over generations. If a farmer is to manage such complex systems in the context of constantly changing conditions, she must be able to consult a friend or neighbor. A farmer’s ability to pass information—and seeds—through farmer-to-farmer networks is essential, as is her ability to adapt, improve, and localize a technique to meet site-specific conditions. Local innovation is the process by which people in a given locality discover or develop new and better ways of doing things—usually using locally available resources on their own initiative. Local innovations are the outcome of this process for example, farming techniques or ways of organizing work that are new for that particular locality. Given that innovations have shown to be effective, resilient, and a source of pride in farming communities it seems logical that they could be integrated with modern science. This would require a paradigm shift in the top-down develop model to one that prioritizes participatory relationships between communities, development workers, and philanthropists. Our fixation with, and indeed our very definition of expertise will have to bend to accommodate other ways of knowing. In this paradigm, research and development are not isolated from real-world practices; they work alongside communities to improve scholarship and community well-being for us all. Luckily the internet is changing the nature of scholarship and facilitating new and inclusive ways of working that were not possible before. One example is peer review—traditionally a judgement made behind closed doors—can now be organized openly and the record of that process can improve the scholarship by exposing self interests, or biased agendas. This open process alters the very notion of credentialism (who gets to do quality control) and is a beacon of equality on a digital horizon. The idea is that by integrating other ways of knowing with formal scholarship we greatly improve the reliability of inquiry: the ability of science to self correct, test, and validate knowledge claims. Knowledge is non-rivalrous in the digital age. The birth of the internet has minimized the cost of making content accessible and it serves as a potential equalizer. It has also made knowledge non-rivalrous. Now any number of people can access knowledge at the same time without compromising the ability of another to access it. Scholarly literature—previously stored in physical objects such as books, journals, and videos that wore down with use and were accessed by only a few users at at time—is now part of an infinite digital space. There is no risk of knowledge depletion in this space and this makes digital information non-rivalrous, allowing us an unparalleled opportunity for open. It is instead economic and social inequality that restrain users from access. The internet was quickly centralized into territories governed by several western multinationals. What was once a decentralized infrastructure positioned to be democratically shaped by all, has marginalized entire geographies and populations, even when they are set to gain the most. In the Global South it is governments that largely control access to the internet, and some use it as a weapon to suppress free speech, protest, group organizing, and even to crack down on religious, ethnic, or other minorities. Open is key to an inclusive internet governance model; one that provides equal opportunities regardless of differences. There are other obstacles that greatly disrupt an open model of development such as excessive patenting. Patents, breeders’ rights, and other intellectual property rights can seriously disrupt innovation systems. The rise of the industrial agriculture model has followed that of proprietary technologies: competitive aggregating of knowledge to be later dispensed for a fee. Some agrichemical products have patented the very genes of plants and animals; the same ones that were able to evolve and improve through open genetic mixing. Multinational companies now own the genetic structures of natural living organisms and they will execute protection of this “property” with callous ferocity. For centuries farmers have collectively propagated, preserved, and passed on to next generations the plants and animals they work with. The intellectual property rights now in force do not protect these systems; in fact they harm them by serving big agriculture monopolies, industrial nations’ trade agreements, and fencing off markets. In turn, rural economies suffer, biodiversity diminishes, and farmers are deprived of autonomy. It’s important therefore to note that open is not experienced as a positive force across all marginalized populations as ‘the public’ has often been discriminatory. Marginalized populations cannot be blamed when they wonder, “who does my open knowledge benefit?” This is a great challenge for open, but also an opportunity for reexamining our complex relationships. The overturning of proprietary development models and knowledge systems in favor of open frameworks is at the heart of social and environmental justice. The resolution of these tensions will determine the carrying capacity for the biome and the planet’s ability to maintain resiliency. Given the diversity of cultural value systems, widespread inequality, and the often unresolved sovereignty politics between indigenous peoples and nation states, we must bring local farmers into the innovation process so they can help match it to socio-environmental and cultural realities. Ultimately the success of our humanity depends on everyone’s humanity; therefore technology must make progress alongside social justice, environmental stewardship, civil liberties, and local, critical perspectives—not in despite of them. Agroecology—whether under the guise of permaculture, biodynamics, regenerative farming, or another model—is based on crafting farming systems that mimic natural processes and reflect societal and cultural conditions. It’s time for agrarians and advocates to recognize that progress is not only about looking forward but also about looking around; and sometimes even below to the fungal networks who share information and resources that connect all living things. This is the open source paradigm, and agroecology is rooted in its ethos.